From a risk-management perspective, your first line of defense is the proper, thorough and organized screening of employees. Dealers who routinely run Criminal Background Checks, MVR’S, Workers’ Compensation Claims History Reports and Social Security Number Traces as part of their hiring policy enjoy significant insurance savings in their Garage Liability, Workers’ Compensation, and Employment Practices Liability insurance rates. Spending $50 to $75 on background checks is less than 6% of the cost of hiring an employee. Dealers Insurance Services is pleased to offer a complete menu of employment screening services that moves Pre-Employment Background Checks from an administrative function to a Dealer’s best single risk management tool. While the pre employment screening services of most vendors cost much more than our background checks, some vendors will quote low costs to grab your attention and possibly even have you try their services. However, if the price they quote is really only for their service, and they pass on to you a range of fees, then your invoices will be much bigger than you bargained for. We don’t do that Ii addition, we have a great volume discount schedule. there are other employer requirements too. If the pre employment screening vendor you are considering wants you to sign a long term contract and pay up-front fees, you should wonder why. Our scaleable Internet interface is FREE, and we keep you as a client, not with a contract, but with excellent professional service. 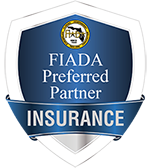 Find out what Dealers Insurance Services can do to improve your bottom line. When appropriate, we can recommend a menu of employment screening services designed to lower your exposure and increase your return on your employee screening investments. No deposits, no monthly minimums, no set up fees, no hidden fees or charges of any kind. Pay only for what you order. Saves time and money. All reports can be ordered on line. No more waiting on phone or fax. Packages developed specifically for auto dealers. Hire / No Hire can decisions can be reached immediately saving money on ordering unnecessary drug tests, further interviews and other administrative time. 100% in-person, real time county criminal record searches which are often far better than out-of-date data bases for criminal records. We offer Unsurpassed hit rates. You can create users with access limited by function or locations. From a risk-management perspective, your first line of defense is the proper, thorough and organized screening of employees. For questions regarding Human Resources or employment regulations you may want to contact Jennifer McBennett of Seay Management Consultants at 407-426-9484 or email her.